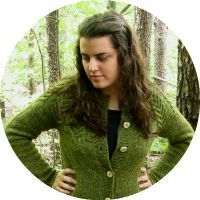 Wool and Wheel: The Voyage of the Dawn Treader. First, let me say that I am not one of those people who can separate book from movie very well. At least, not when the movie first comes out. After I've seen it three or four times, maybe. But I accept this, because I'm a big book nerd. 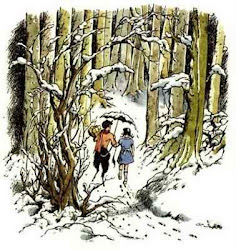 Books like the Narnia series are such a part of me that I feel cheated when they're altered. I loved "The Voyage of the Dawn Treader." (We saw it in 2D, by the way. I hate 3D.) I'm just feeling a little overwhelmed about it now, so if I come across as negative, know I don't mean to be. I want all of you guys to go out and support this lovely movie, because if this one flops, there won't be any more Narnia movies. And I don't know about you, but I really want to see "The Silver Chair" and "The Last Battle" (the other books as well, but these especially) on the screen. This is my main issue with the Narnia movies, or at least PC and VDT: I feel like they are a little too "dumbed down." We all know that the books and movies are considered to be for children. But C.S. Lewis did not believe in writing down to children. He was a genius, and he wrote cleverly, even for kids. It seems to me that the movie-makers feel a need to dumb down and modernize the stories for today's audiences. And that's not necessary! Also, they don't need to make every single Narnia movie into a "we've got to save Narnia!" thing. LWW and PC are meant to be like that- this one is not. This is just an adventure story. The whole temptation/defeating the darkness in yourself theme was good (if slightly overdone thanks to the *cough*green mist*cough*). Very good. The acting was also good. I am so glad that they ditched Caspian's artificial accent. Good, grief. Lucy and Eustace were the best, by far. Also perfect: the "Island of the Voices," as it's called in the book. Despite the slight changes, I loved it! *chorus of agreeing voices in the background* :) Coriakin was a little off. But the rest of it, including all of the trimmed hedges and bushes and the gorgeous mansion, made up for that. The whole sea serpent thing was definitely the tensest scene in the entire movie. I was bracing myself, with my arms crossed and practically clutching each other. When I realized what I was doing, I almost laughed because I was so into it. The sea serpent was majorly creepy. I didn't even mind so much that they put him on the Dark Island. The end scene was incredible. The best lines from Aslan were kept exactly the same, which is the most bluntly spiritual/Christian part of the movie. With all of the goodbyes, it was just heartbreaking. Hm, I've heard a lot of good things about this movie, but that green mist subplot really bothers me. Is it a very big part of the story? Great review, by the way! :) I totally agree about the modernization. That's why I prefer the radio dramas as adaptations---they stick to the book and are much more British than the movies. You totally put all of my thoughts into words! Eustace was perfect, I was so happy that Caspian's accent was gone, I was sad about the rearangement of the islands, the green mist was cheesy, and it was most definitely "dumbed down." However, I still enjoyed myself and still loved the story line aside from the changes. I was also exstatic that they kept Aslan's powerful quote at the end that says: "...But there I have another name. You must learn to know me by that name. This was the very reason you were brought into Narnia, that by knowing me here for a little, you might know me better there." It's one of my favorites!